When it comes to Caldera Event Group there are simply no limits to what we can offer. If you can dream it, we can create it. Design and fabrication of custom scenic elements, stock stage sets, ultra-lounge furniture or floral, we are your one stop shop. 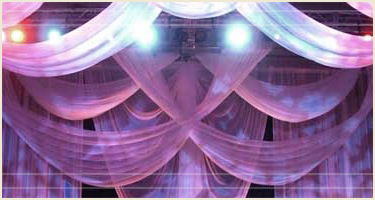 Our company has one of the largest collections of theatrical and decorative drape, scenic elements, ultra lounge furniture and stock stage sets in Colorado. Be it a general session, corporate meeting, elegant gala celebration or a magical wedding environment, CEG can build a suite of elements that will complete the look and feel of your event by transforming the venue. From themed and logo backdrops to ultra-lounge furniture, to photosets and props, we have something for every event and everyone’s taste. It’s no wonder that most of our competition rents from us and resells from our inventory. Duplication is the most sincere form of flattery… but why pay the additional mark up when you can come right to the source? With Caldera Event Group, there are no limits because we have skilled craftsman who can fabricate custom sets and props for your occasion. We can bring sunsets inside, fill a ballroom with moving water projections, suspend jumbo glowing orbs in a starry nighttime sky and create a stage proscenium adorned with crystal chandeliers. Did we mention we have over thirty-five crystal chandeliers? We do and they are ready to ship to your venue! 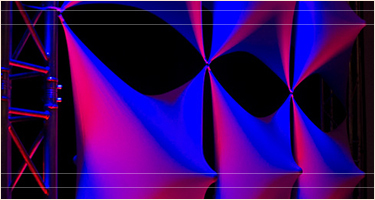 Our professional staff of designers build moods and atmospheres limited only by the Laws of Physics, and even then we will help clients create the illusion. 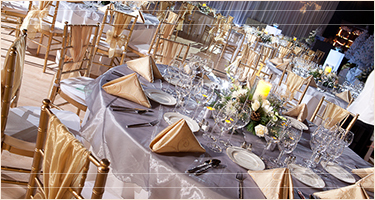 If we don’t have what the event requires in our extensive collection of décor, we will build it or source it. And if you’re looking for simple accents, we have an extensive rental inventory for our clients to choose from. Scenic Projection & Décor Lighting Aside from our in house inventory, we have a large network of partner companies who can provide turnkey solutions for all production requirements that may exist.